Dan Buckle and Aaron Drummond met at Mount Langi Ghiran in 2007. After a vintage of Shiraz it was inevitable that the conversation would turn to any other varietal except Shiraz. With both of them growing up on the Mornington Peninsula, they were keen and curious as to what they could do with Pinot Noir from such great soil. Drummond & Buckle acquired a vineyard along Hillcrest Road, Red Hill on the Mornington Peninsula, three acres undervine being roughly half I-clone Chardonnay and half MV6 Pinot Noir, with north facing rows, moderate spacing and deep red volcanic basalt soils. 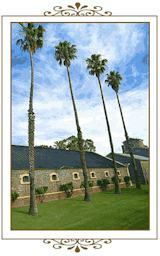 Best's Victorian enterprise comprises three sister vineyards: The Grand Matriarch and headquarters, Concongella at Great Western, St Andrew's at Lake Boga and the baby Salvation Hills at Rhymney Reef. Each vineyard produces distinctly different grape characteristics from vines aged from five to 135 years. 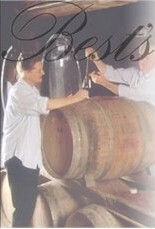 Together they add fascinating facets, contrasts and diversity to Bests stable of wine. 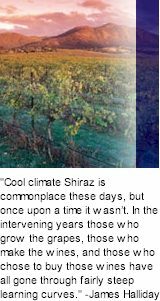 Twenty-one hectare Concongella, enjoys a cool temperate climate.